The tank farm for storage of liquid cargoes is located in the free economic zone of Vega Stividors. 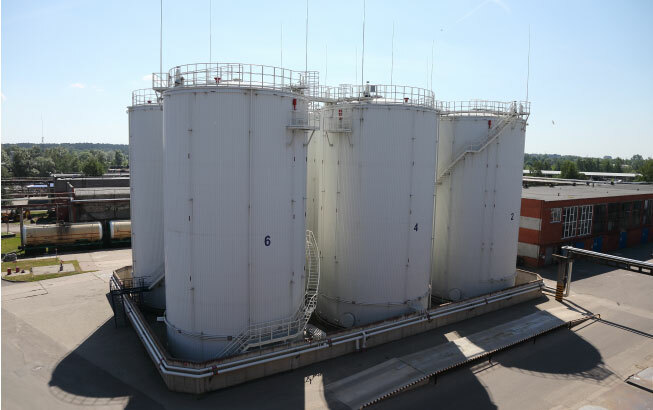 The tank farm is a set of 6 tanks, each having a capacity of 1,500 cubic meters. 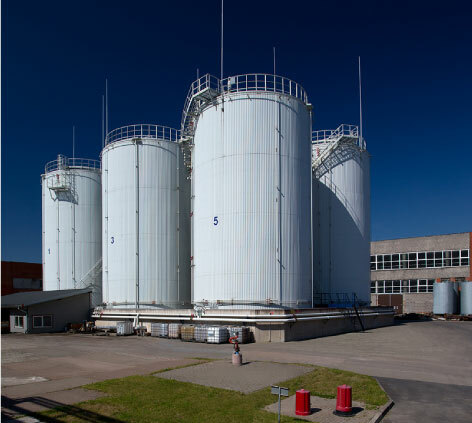 The total volume of the tanks is 9,000 cubic meters. All tanks are equipped by the internal protection epoxy cover, heat insulation as well as a possibility of heating and temperature maintenance. Brief technological description of possibilities of the tank farm. Transshipment of liquid cargoes from vessels (mooring JM-29) into tanks. Transshipment of liquid cargoes from railway and road transportation into tanks. Issuance of liquid cargoes to sea vessels, railway and road transportation.